Who’s Supporting Invictus Games 2016? A number of high-profile celebrities, including Michelle Obama, Dr. Jill Biden, Mike Myers and have pledged their support for the Invictus Games and the wounded, injured and sick Servicemen and women who are hoping to compete in the Games this May. Click on the posts below to read and watch their messages. The Organizing Committee of Invictus Games 2016 is humbled to have Morgan Freeman as one of its supporters and we remain grateful for Mr. Freeman’s participation at the Opening Ceremony. In his spare time, Freeman loves the freedom of both sea and sky; he is a long-time sailor and has earned a private pilot’s license. He also has a love for the blues and seeks to keep it in the forefront through his Ground Zero club in Clarksville, Mississippi, the birthplace of the blues. In 1973 he co-founded the Frank Silvera Writers’ Workshop, now in its 37th season. The workshop seeks to serve successful playwrights of the new millennium. He is a member of the Board of Directors of Earth Biofuels, a company whose mission is to promote the use of clean-burning fuels. He also supports Artists for a New South Africa and the Campaign for Female Education. 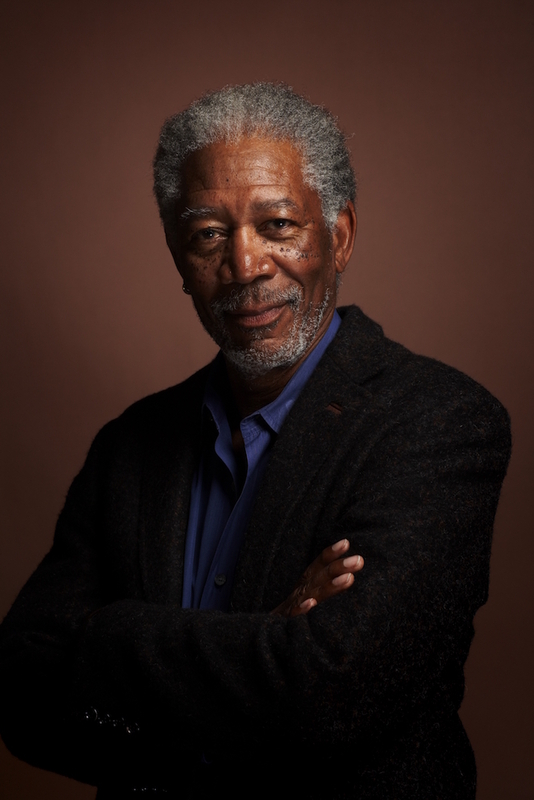 Freeman has been named on the Forbes “Most Trustworthy Celebrities” list each of the five times it has been published since 2006. Invictus Games 2016 is honored to have Derek Hough as a supporter of Invictus Games 2016. Derek Hough is an American professional Latin and ballroom dancer, choreographer, actor, singer, and songwriter. He is known for his work, since September 2007, on the ABC dance-competition series Dancing with the Stars, on which he has won a record six seasons. He has won two Primetime Emmy Awards for Outstanding Choreography for several routines that he choreographed for the show. Hough starred in various stage productions such as in the 2006 original production of Footloose: The Musical at the Novelo Theatre in London’s West End, as well as the 2015 New York Spring Spectacular at Radio City Music Hall in New York City. He also starred in Make Your Move, a 2013 Romeo and Juliet-inspired South Korean-American independent dance film. In 2014, he guest appeared on ABC’s musical drama Nashville. Follow Derek Hough on Twitter @DerekHough. Allison Janney, the renown American actress and seven-time Primetime Emmy Award winner, shows her support for our servicemen and women competing at the 2016 Invictus Games! Invictus Games 2016 is honored Welsh mezzo-soprano Katherine Jenkins OBE, the world’s most prolific classical crossover singer, is an Ambassador for the Games. Invictus Games 2016 is over-joyed to have Shawn Johnson as a supporter of the Games. “I am beyond excited to be an Ambassador alongside Derek Hough for the wounded warrior competitors participating in the Invictus Games at Disney, next month!”, said Shawn. At 23 years old, American gymnast Shawn Johnson has accomplished a lifetime of achievements that include Olympic Medals, a New York Times best-selling book, a business, and a career in broadcast. Hundreds of millions of viewers worldwide watched as a 16 year old Johnson won four medals including gold on the balance beam at the 2008 Summer Olympics, which took place in Beijing, China. Her first book, Shawn Johnson, Olympic Champion-Stories Behind the Smile, was published in January 2009 and in April of that year, Johnson was named the 79th Amateur Athletic Union (AAU) Sullivan Award recipient, one of the United States most prestigious honors in amateur sports. At the age of 17, she became the youngest ever contestant, and subsequently in May of 2009 was crowned champion, of ABC’s 8thseason of “Dancing with the Stars”. Shawn was so popular with the audience that in 2012 she was invited back for “Dancing with the Stars: All Stars” where she again made it to the finale. Invictus Games 2016 is honored that Tim McGraw is an Official Ambassador for the Games. #MoreThanThankYou to Tim McGraw for all of the Good that you do for so many. As a son of parents in the Royal Air Force and the British Army, actor, writer and director Mike Myers understands the sacrifices made by those who serve and he salutes the competitors of Invictus Games 2016. Conan is a renown American comedian, television host, writer, producer, musician, and voice actor. He is best known for hosting several late-night talk shows.